Dr. Patel has been working in Madagascar every year since 2000, where he has been studying the behavioral biology and conservation of one of the most critically endangered primates in the world, the silky sifaka lemur (Propithecus candidus). He also serves as the Madagascar country field representative for the international environmental organization Seacology (www.seacology.org) and as a member of the Madagascar Primate Specialist Group of the International Union for the Conservation of Nature (IUCN). Since 2014, he has served as an Executive Editor for the journal Madagascar Conservation and Development. From 2012 to 2015 Dr. Patel served as project director of Duke Lemur Center’s SAVA Conservation Project. 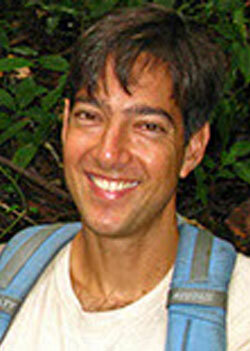 His fieldwork has garnered considerable media attention, including several televised feature films (by the BBC, Dan Rather Reports, Animal Planet) as well as newspaper/magazine coverage. In April 2010 his “Saving the ‘Ghosts’ of Madagascar” made the cover of Smithsonian Magazine.